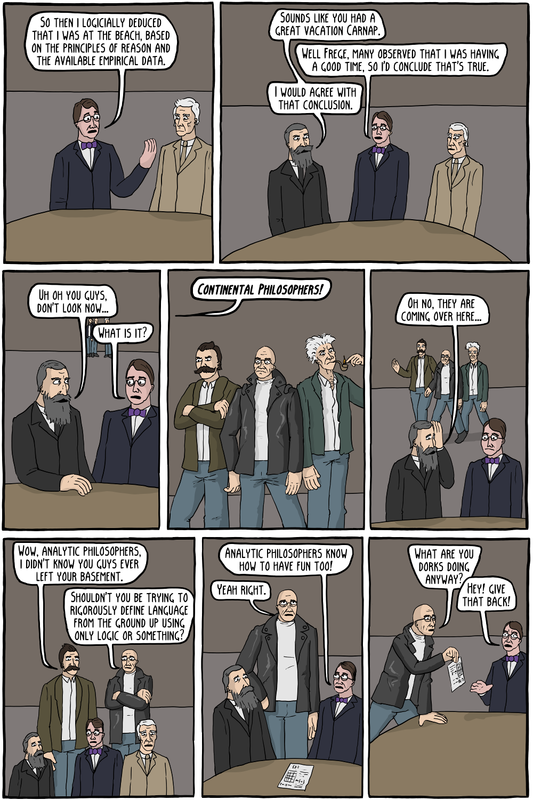 A big project of 20th century analytic philosophers, such as Frege, Carnap and Russell, was to either ground language in logic, or to create a more exact language that would have no ambiguities, which would used for science and philosophy. Later Continental philosophers like Derrida found this sort of thing to be impossible (as did many later analytic philosophers). Derrida claimed that each sign (or word) got in meaning by existing in a network of signs. For example, the word "marriage" gets its meaning by opposing "single", and by relating to other words like "bachelor", "spouse", "divorce", etc. In addition the term has a history, with different connotations throughout time that come into play for how we understand it (such as that divorce was sin, or its historical role in raising children). At each moment in history it also gets its meaning from the network of words at that time as well, and each term that it relates to (such as "divorce") also gets its meaning from a network of current and historical meanings. This makes the meaning of any given term constantly shifting, and infinitely complex. So any kind of rigorous, exact language is impossible. 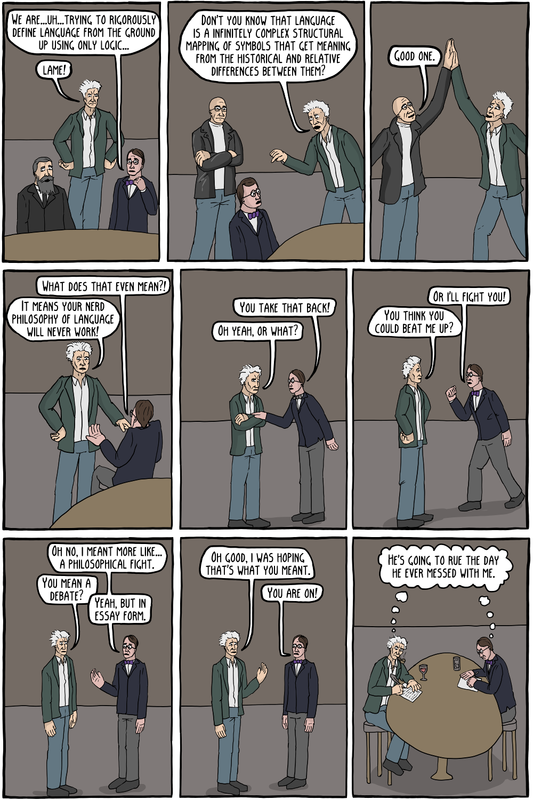 Oh also, analytic philosophers are well known to be the dorks of philosophy.